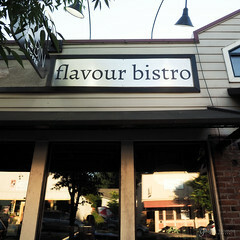 For my 42nd birthday, Mark took me out for dinner at Flavour Bistro, a new restaurant in Duvall. It was previously known as Fall City Bistro which we had been to once before. They moved to Duvall last month and have a new name. They serve a lot of the same dishes they did in Fall City. 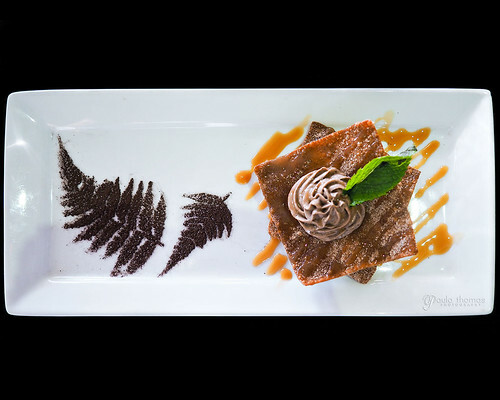 They pride in making dishes with as much local and organic ingredients as possible and use a lot of Asian ingredients that give the dishes so much flavor. I'm all about talking on my phone as little as possible so I found that you can make reservations online. 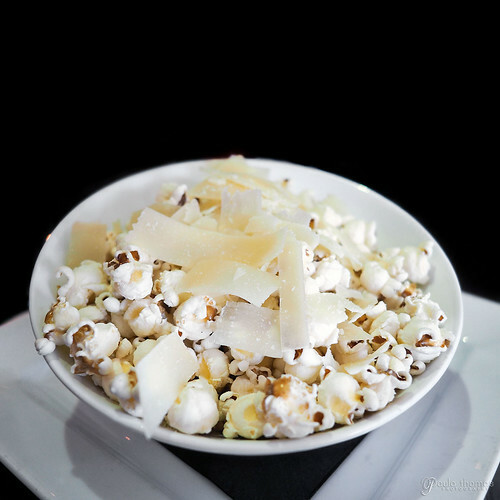 They seem to prefer that method as we got complimentary truffle popcorn for making the reservations online. You'll find some interesting things on the menu like kangaroo gyoza and alligator frites but we didn't try any of those. 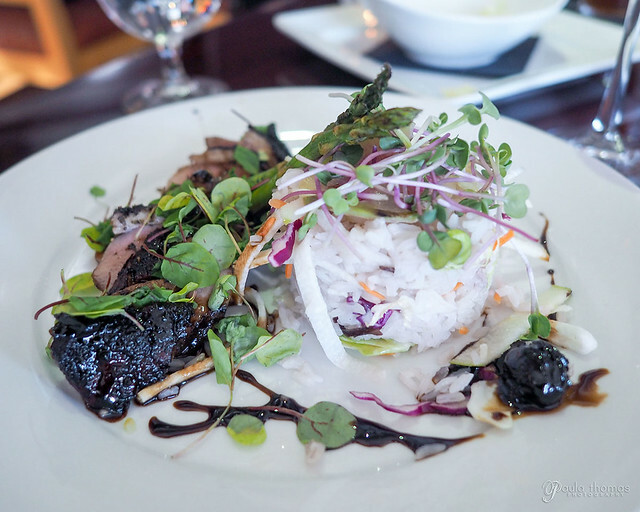 Mark got the Peking breast of duck served with a bing cherry rum sauce and jasmine rice. 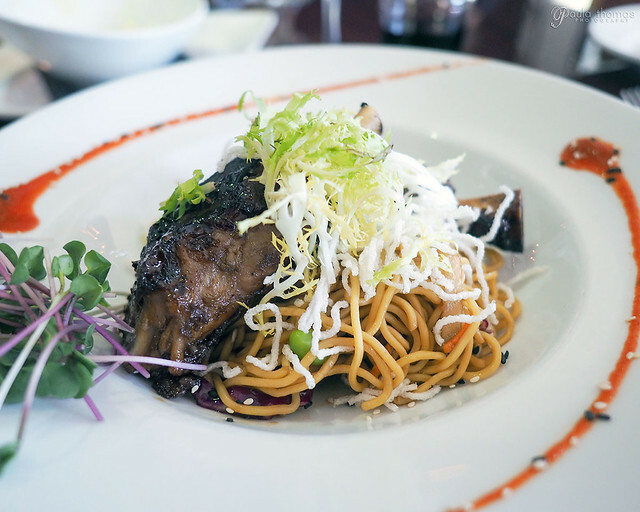 After reading lots of positive reviews of it, I went with the Togarashi pork shank with braised fennel and sobe noodles. Both were tasty but I preferred my pork. The meat was tender and full of Asian flavors and the meat slid right off the bone. There was no dessert menu to look at but the menu was given verbally. 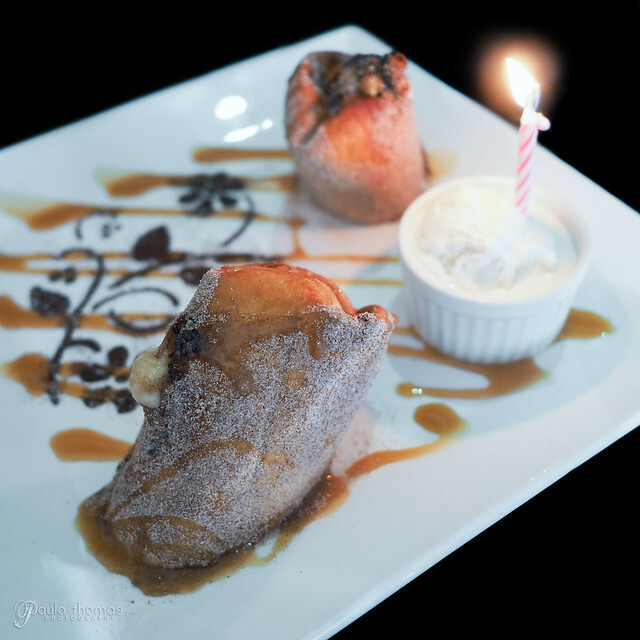 We decided on the most popular one, "Zongo", which consists of a banana and cheesecake wrapped in a tortilla and deep fried. We also got a surprise birthday dessert as well which Mark ate most of because I wanted the Zongo!